Is Euthanasia Legally And Morally Valid ? Is euthanasia legally and morally valid ? This question has been asked in India in different situations. In India, the status of euthanasia is no different. It was the Aruna Ramachandra Shanbaug case that got significant public attention and led the Supreme Court of India to initiate detailed deliberations on the long ignored issue of euthanasia The Constitution of India by virtue of Article 21, guarantees to every individual, the Right to live with dignity. However, the question whether the ‘right to die’ comes under the purview of right to life in India has been a constant subject of debate in India. Bollywood movie ‘Guzaarish’, featuring Hrithik Roshan and Aishwarya Rai also highlighted the gravity of this issue. In our routine life, we come across many individuals who are incapacitated, completely dependent on others, suffer extreme bodily pain, are on a life support system with very few chances to survive it. Last month, the Supreme Court in its order permitted “Living Wills” and passive euthanasia and in theory it provided some relief those in terminal illness and their families as they as well as the medical fraternity were operating in a medical limbo. A five-judge bench of the court headed by the Chief Justice of India Dipak Misra and comprising Justices A.K. Sikri, A.M. Khanwilkar, D.Y. Chandrachud and Ashok Bhushan, issued detailed guidelines in recognition of “living will” made by terminally-ill patients. This clarity was needed in India, as we don’t have any legislation on the subject. This is so, although informally passive euthanasia by tacit consensus between family and the treating team has been in vogue in many hospitals in India for long and an informal social sanction had developed around it. The relevant provision here is Article 21 of the Constitution that guarantees the right to life. In the early 1990s, the Supreme Court had addressed whether the right to life would include the right to die. The inquiry arose in the context of a challenge to Section 309 of the IPC, which punishes attempted suicide. 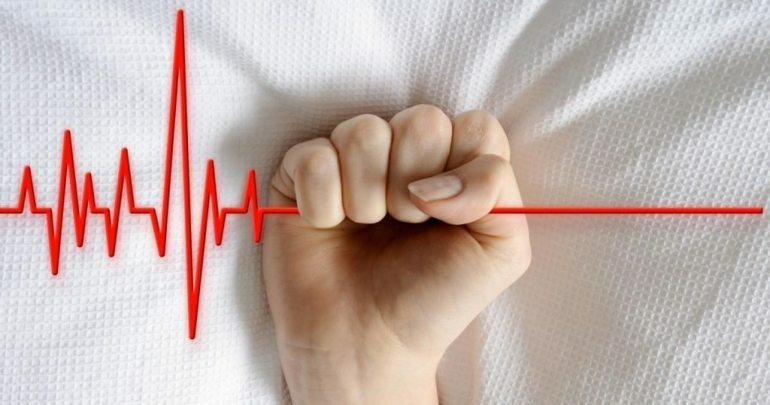 After asserting that passive euthanasia occupied an independent domain that was currently unsettled, the court proceeded to establish its constitutionality. It suggested that the right to dignity, which formed part of the right to life, would include the right to a “dignified procedure of death”. It then offered an autonomy-based argument: That persons have the right to choose the medical treatment they receive, and this would include the decision to not receive any treatment at all. The court’s decision is in many respects laudable. Both dignity and autonomy are important constitutional values. . Realising the importance of this issue and considering the ongoing and pending litigation before the different courts in this regard, the Ministry of Health and Family Welfare, Government of India issued a public notice on May 2016 that invited opinions from the citizens and the concerned stakeholders on the proposed draft bill entitled The Medical Treatment of Terminally Ill Patients (Protection of Patients and Medical Practitioners) Bill. Globally, only a few countries have legislation with discreet and unambiguous guidelines on euthanasia. The ongoing developments have raised a hope of India getting a discreet law on euthanasia in the future. Netherlands, Canada, Belgium, Colombia and Luxembourg have previously pioneered in legalizing passive euthanasia and India has now joined that league. But in these countries, there it is an informed decision-making mechanism in place and key decisions are made in consultation with family, clinicians and attorneys based on a living will previously written In India these mechanisms are lacking and therefore some clarity from the legal side was needed. In the absence of any guidelines, key decisions were and are largely made by doctors and health-care institutions with robotic responses from the patient and family who are often shell-shocked in an end of life situation. Now for the very important fine print. In order to allay the fears of misuse, the Supreme Court has also provided for the clearance by the State before the living will is carried out. The living will be to be signed by the executor before two attesting witnesses and the same is to be countersigned by the jurisdictional Judicial Magistrate, First Class. Both the Judicial Magistrate and the witnesses would record their satisfaction as to the free will of the executor while preserving one copy in his office and sending another to the record of the jurisdictional district court and to the competent officer of the local government. An equally cumbersome process kicks in at the time of the execution of the will with the hospital where the patient is admitted creating two independent medical boards certifying that the time is opportune to execute the Living Will. Once again, if the boards agree in the affirmative, a magistrate must countersign before the plug is pulled. The modern state has emerged as an entity that engages in fostering and administering lives. Therefore, in cases that involve the issue of euthanasia, it cannot rule in favour of active euthanasia (the administration of lethal drugs). The courts therefore got into the realm of regulating passive euthanasia which does not involve killing as much as letting a person die. This is where the moral distinction between passive and active euthanasia becomes significant. This also proves why a modern state may in some cases under rare circumstances make room for passive euthanasia but not active euthanasia as it cannot engage in actively killing someone. Despite the Supreme Court guidelines, the debate on euthanasia in India remains inconclusive. The government has talked for long about the need for drafting a bill on passive euthanasia and the Supreme Court has also said that its guidelines are valid only till such a time that a fuller law addresses the issue more comprehensively. This bill is all in favour of making passive euthanasia a reality with appropriate checks and balances and is in line with the judgment delivered in the Shanbaug case of 2011. On gaining support, the bill will not only prove to be a landmark legislation, but also provide a panacea to the terminally ill and those who champion patient’s rights, though it is uncertain as to when the bill will actually become law. Shantanu Dutta, a Former Air Force Doctor is a development worker for the last 25 years.